Planning to contribute for the upcoming Environment Day? Err… Wait. Let us ask you a question, why this environment day only? 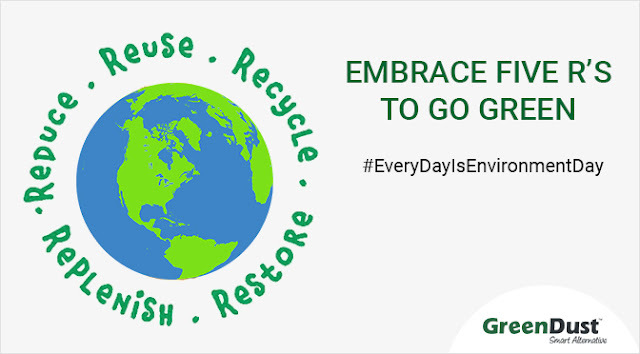 Why not every environment day or how about making everyday an environment day? World Environment Day is celebrated on 5th June every year to raise global awareness to protect environment and save planet earth. But we think, every day is environment day. Here we are listing down some ideas which you can adopt in your life routine and make possible everyday an Environment Day. Always think twice before making any purchase decision. Reduce the use of hazardous substances, a threat to environment. 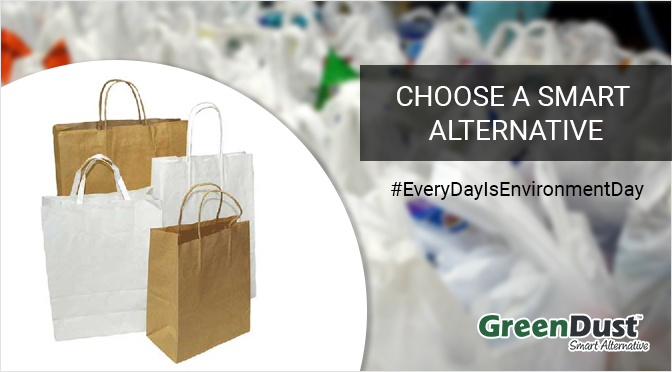 Consider to Reuse, Recycle, Re-purpose and Repair before disposing out waste from your home. Replace your plastic or metallic packaging materials with recycled paper packaging. Say no to plastics. Opt for refurbished /post-user/recycled electronics and gadgets; they are as good as new. Always wanted to do a good deed? Plant a tree! Make it a lifestyle and pass this habit to your upcoming generation too. 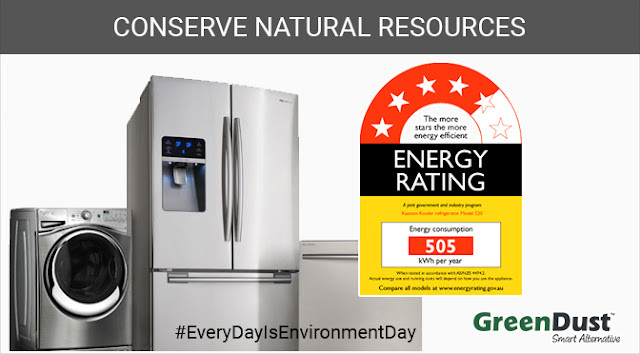 Use energy efficient appliances to save electricity. Try carpooling or shared taxi ride to save fuel. Travelling will be fun with chatting and riding with co-commuters. Keep a check on your water faucets and assure they don’t leak. 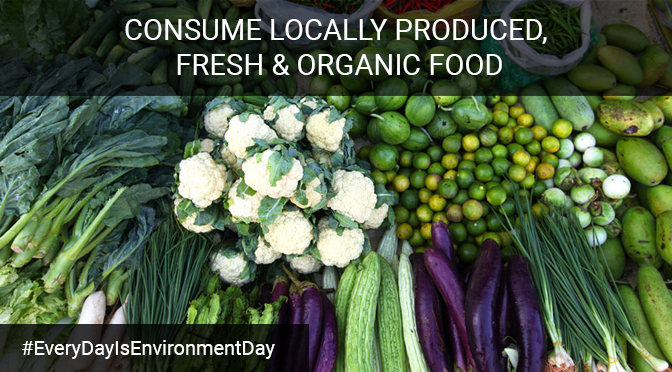 Food travels thousands of miles, before it reaches your plate resulting in consuming more fuel and polluting air particles in mid way. Also, pesticides and insecticides used in producing that food not only affect ecology but also your health. Do remember, change begins at home. Dream green, act green and live green! 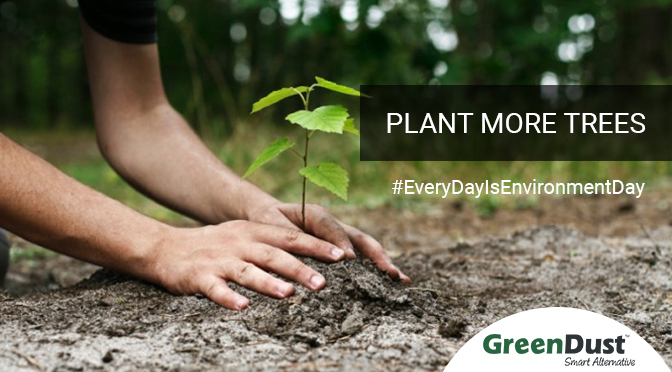 Join GreenDust in making everyday an environment day and make this world a safe place to live.